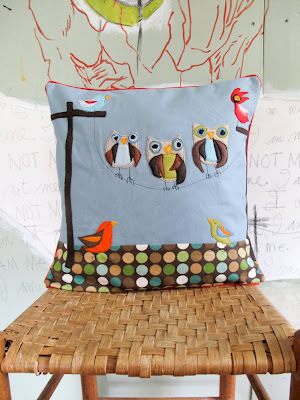 Jenny Jen42: New Pillows !!! 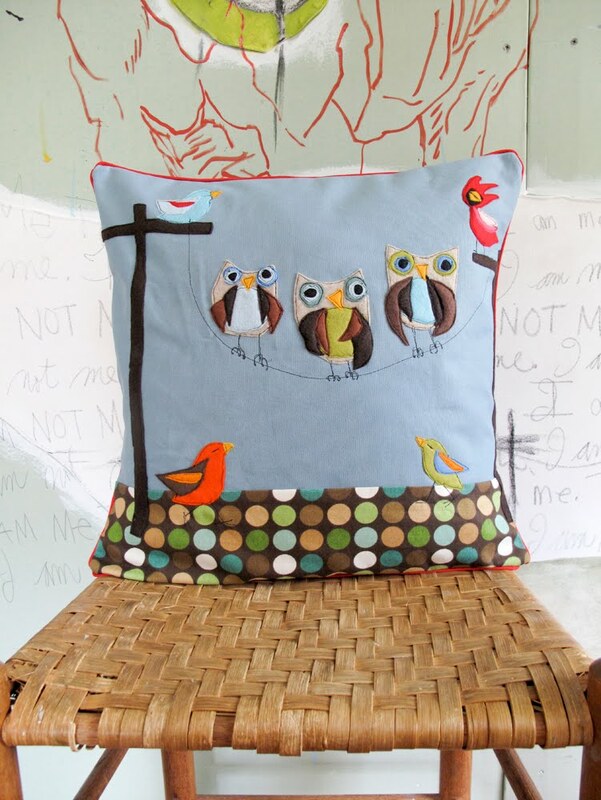 A new pillow for my bird party series....otis's buddies on the clothesline!....will be on sale tomorrow at Hamilton Fest. 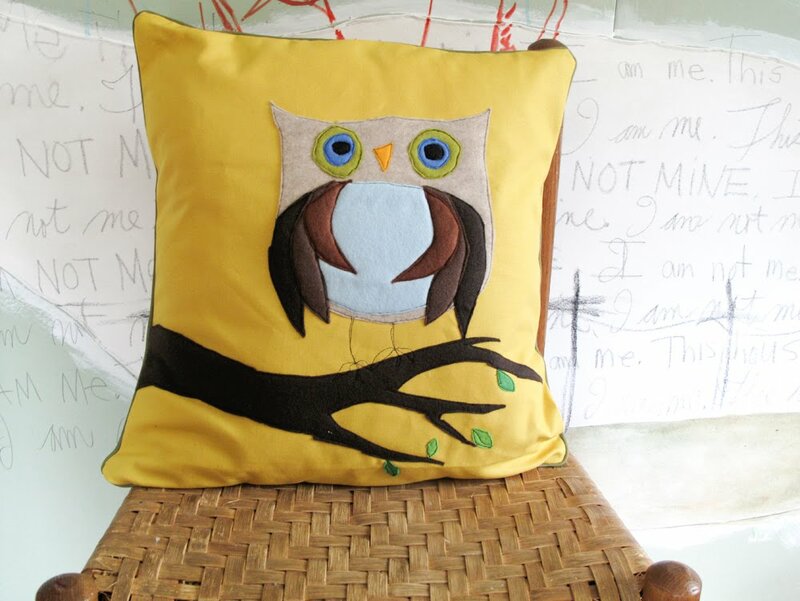 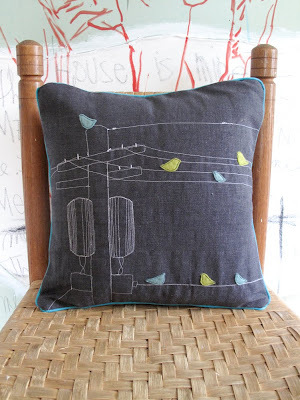 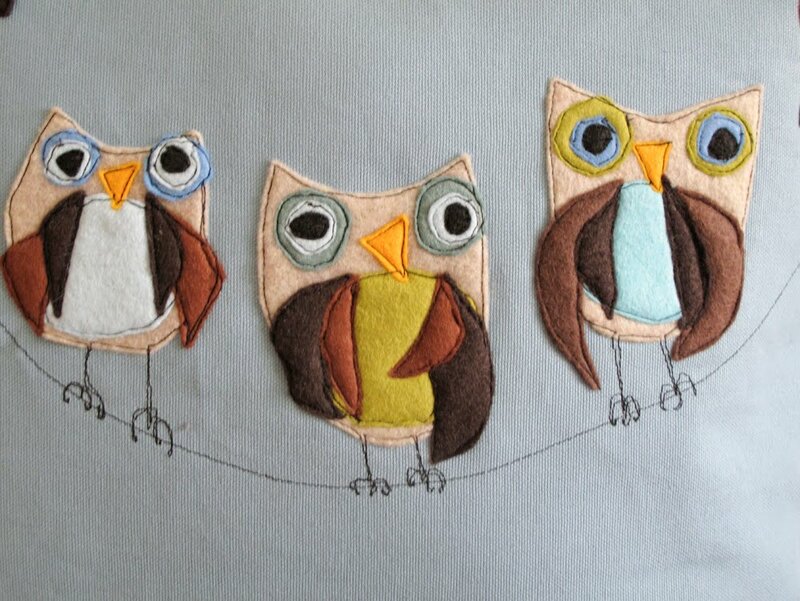 Along with Otis himself in yellow and another bird on the wire pillow in dark gray with white lines.